Cabinet Making Course for all levels of ability. 2. 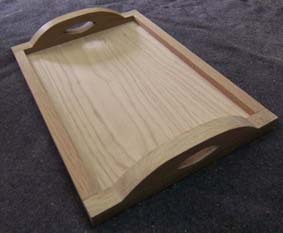 Or for people without suitable tools who wish to hire a set of finely honed tools for the week. As well as tuition from the tutor, notes will be supplied for all courses. At first these will be very comprehensive - taking you through every aspect of the projects. As you progress through the modules, and your skill levels increase, the notes will reflect this - incorporating mainly design plans, and detailing only descriptions of new practices needed for the project. This means that you will learn how to work from drawings and become more autonomous. For available course dates please click on drop down box . To see a list of dates for all Philip Hodge courses please look at the Available Courses page. Materials for all projects will be supplied by the tutor. As different students will be working on different modules, the course fee does not include these materials. These will be charged individually to students. Details of project prices are given below. If you do wish to hire a set of sharp tools for the week please select this option when you book the course. If you want to concentrate on different ways to joint wood then look at my stand alone Making Wooden Joints course. PROJECT 1: Winding Strips are useful aids when selecting timber. You will be making a pair of Winding Strips. This will improve your planing skills and teach you to produce wood which is square, true and shaped to exact dimensions. This project will also incorporate a lecture on ""Timber Technology" so that you are better equipped to buy good quality timber. PROJECT 2: A Scratchstock is a very useful hand made tool for making mouldings and rebated grooves. In making a Scratchstock you will be extending your repertoire of skills to include the use of chisels and Japanese saws. Using fine saws and other sharp tools you will shape & cut wood to set specifications and learn how to work from simple plans. You will learn to joint timber using rub joints. You will make a blade for your scratchstock and scratch a rebated groove. You will make and use templates. You will learn the technique of using a piercing saw . 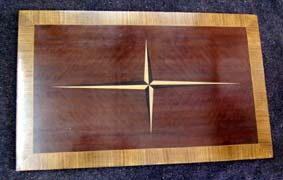 You will learn various skills including marking and cutting mortice & tenon joints., as well as furniture assembly. 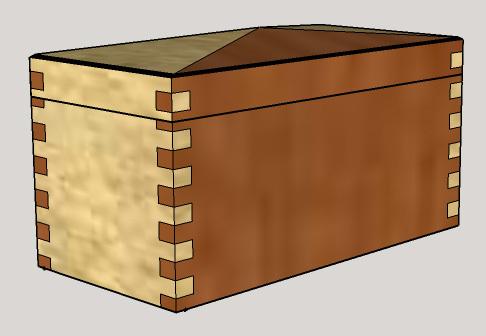 The work involved in making the box is designed to teach you a variety of new skills including finger joints, keyed mitre joints, rebating, fitting hinges etc. All these skills can be achieved with or without the use of power tools as you wish. There will be a segmented lift out tray inside the box. This course is designed for people who have had some woodworking experience and is not suitable for beginners (call me to discuss it if you are unsure). 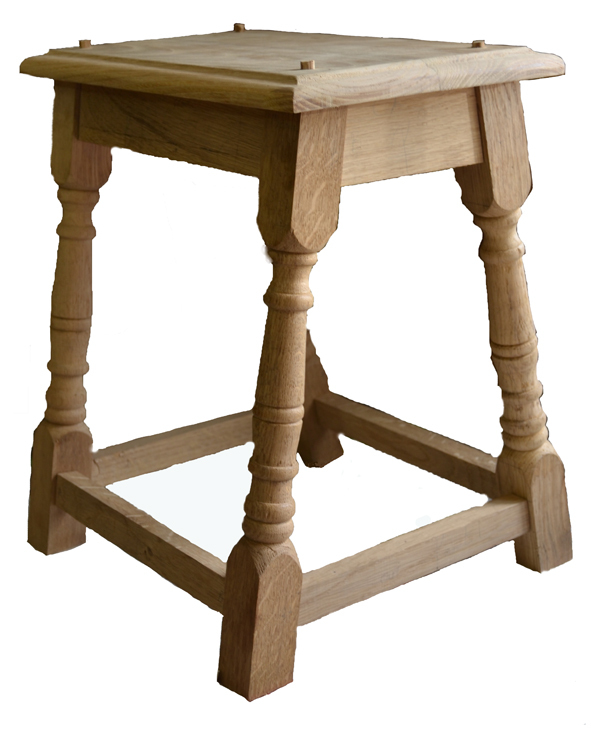 During the 5 day course you will make make an Oak Joyned Stool (alternatively spelled Joined or Joint) that will be yours to take away afterwards. You should end up with something looking like the one pictured. 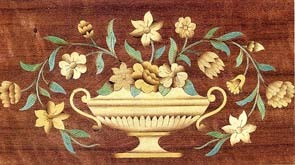 The concept of framed and panelled furniture i.e. making a frame using mortise and tenon joints and then adding a panel (in the case of this stool that will be the seat), was first produced in England near the end of the Middle Ages i.e. mid C15th. This classic item has never gone out of fashion since, either as a stool or as a .wine table or more morbidly as coffin supports. The oak will be provided as part of the course fee and pre-prepared approximately to width and depth. If you mess up a piece of timber, more will be available and this will be charged to you at cost. Working from plans and instructions you will finish the sections to size, mark and cut pegged mortice and tenon joints, a rub joint, dowel joints, moulded edges, lathe turned legs and carving. You should bring with you a sharp set of tools including a bench plane, a block plane, a variety of widths of chisels, a selection of gouges and a rebate plane. If you don`t have any or all of these I can hire them to you for the duration of the course. The price for a full set is given in the drop down box above. If you only require a partial set then please contact me for the price. Once again an excellent course. Once again an excellent course. Introduced new skills and developed those taught in previous courses. The course fulfilled all my expectations and more. I will be back. Thank you for an informative course. No additional comments as the course fulfilled all my expectations and more. I will be back. Good pace, not rushed with an enjoyable atmosphere. Thanks! Would like to come on next course. Professional teaching in a relaxed manner. Thoroughly enjoyed the course. Professional teaching in a relaxed manner.